It’s more fun eating ALL THE FOOD in the Philippines. True story. 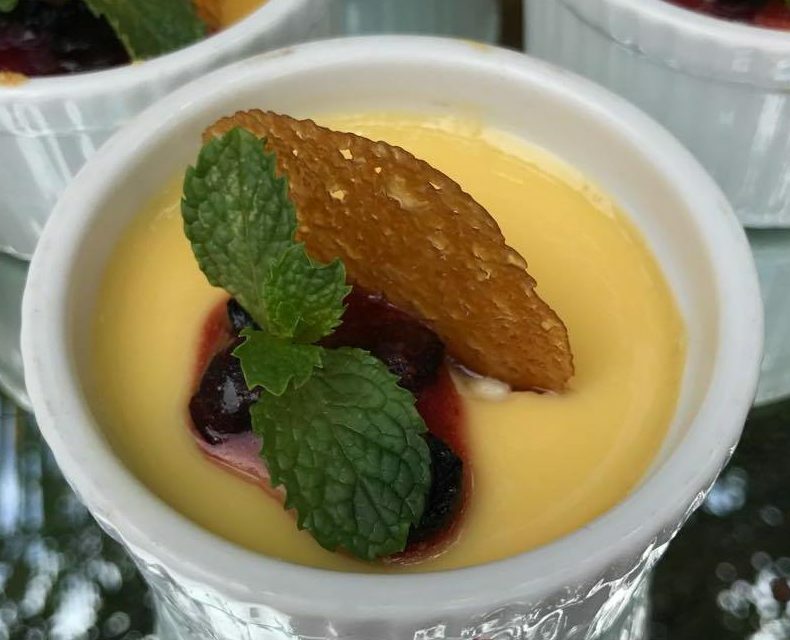 So many complex dishes, simple pleasures and sweet treats. All best shared with family and friends. I wouldn’t lie to you about how much food I devoured in my recent trip to the Philippines for TBEX. It was a lot. Let’s just say I now need to go back the being a whole lot more active then my current eat all the food level of activity and prepare for the upcoming summer activities. It seems that Filipinos love friends, food and family just as much as I do. So sit back, relax and enjoy the pleasure of all the Filipino food I took photos of. Warning there’s a lot of photos coming up of food that I’ve eaten. Wait a minute! Isn’t Filipino food really boring? Whilst waiting at the airport for my flight home I idly chatted to fellow passengers. The ongoing theme being that whilst the Philippines was fun the food was not. Boring was a common term heard thrown about. Let me educate you dear friends. Filipino food is anything but boring. It’s a beautiful mixture of history and culture made into a delicious dish. 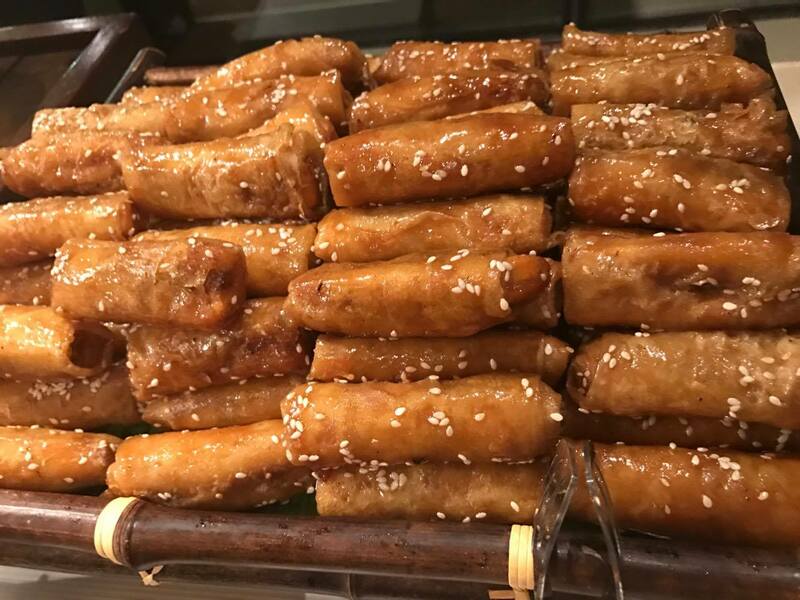 Whilst it may not get the same street cred as neighbouring cuisines such as Thai or Vietnamese food it has a lot to offer even the fussiest of eaters. What confused me was how can anyone consider the food in the Philippines to be boring? With more than 7,000 islands and a colourful history, this archipelago has some delicious dishes of its own. The food here is a direct reflection of the countries history. It’s a history shaped by colonialism – Spanish and American. Each region marking it’s own distinct flavours on country classics. For instance Bicol is famous for chilli. Watch out for the chilli ice cream! There’s an abundance of seafood, tropical fruits and creative cooks. The people here love to eat. More often than not I was asked “have you eaten?” rather than the usual how are you. 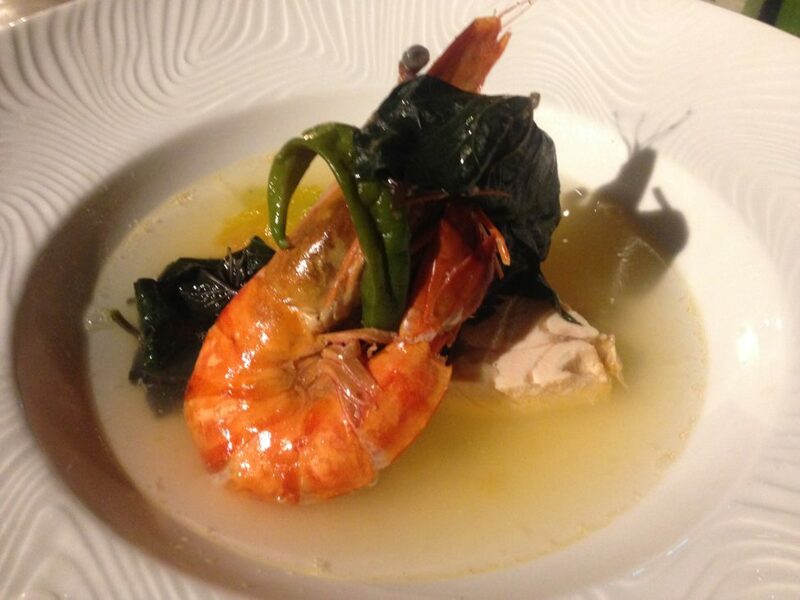 It’s easy to see that there’s more to Filipino food than the eye opening balut. You just have to know what to ask for. To help you on your culinary journey in the Philippines here’s a very basic guide to Filipino food. One of the most popular Filipino dishes and is considered unofficially by many as the national dish. It usually consists of pork or chicken, sometimes both, stewed or braised in a sauce usually made from vinegar, cooking oil, garlic, bay leaf, peppercorns, and soy sauce. By far the funniest dish in the Philippines and a tourist trap. No matter where we went people asked if we had eaten balut and would we like to try balut. Even for the adventurous eaters in the group it was hard to swallow. Balut is a duck embryo cooked and eaten whole. A 17-day-old duck embryo is boiled, served with rock salt or spicy vinegar and is often drowned with beer. A boodle is a shared meal served on banana leaves and eaten with your hands. Only your hands. There’s a variety of dishes served and accompanied with rice. Think chicken, fish, pork. It’s a wonderful experience and one not to be missed! The story goes that the army started this tradition as a simple and effective way to feed troops, clean up and move on with minimal effort. At the end of the meal all the waste is wrapped up in the banana leaves and disposed of. It’s a popular style of service when families are celebrating. 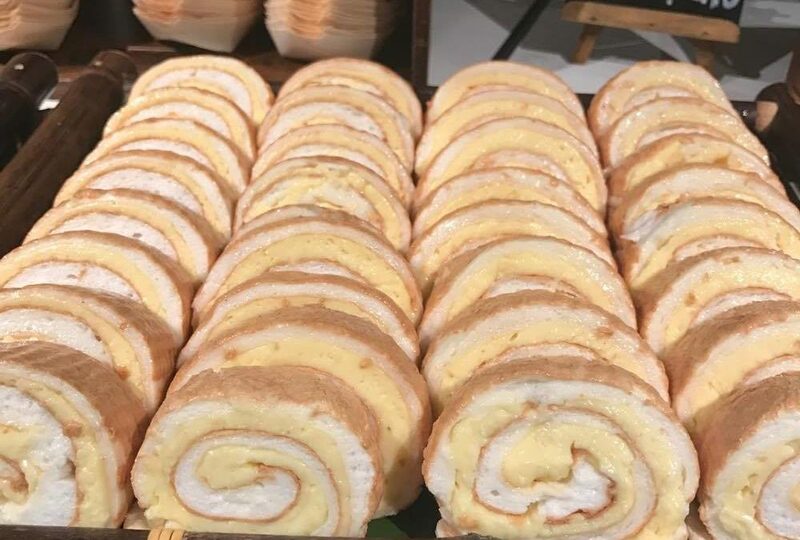 Brazo de mercedes is a type of jelly roll dessert made with a pillowy meringue rolled around a rich custard filling. These fastly became one of my favourite treats. This literally translates into mix-mix. 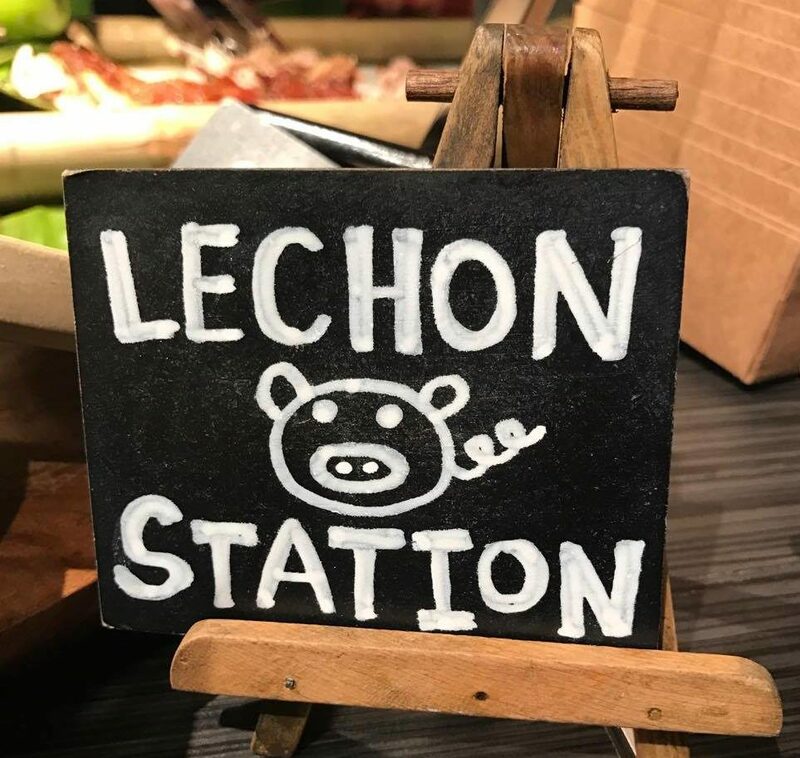 You’ll find that a serve of halo-halo contains finely shaved ice and a generous serving of leche flan, gulaman, ube, banana, kaong, beans and garbanzos, milk and a scoop of ube ice cream. 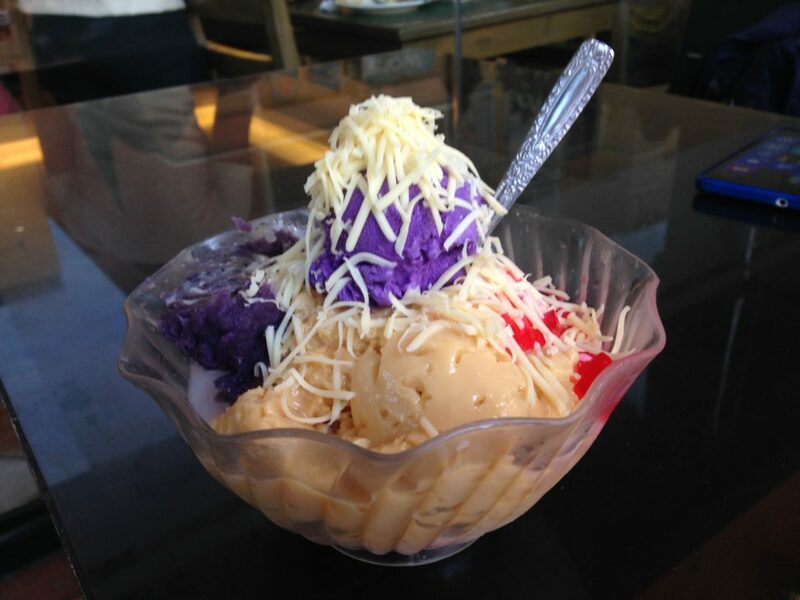 Each region has their own particular version of halo-halo. It’s a perfect mid-afternoon snack. 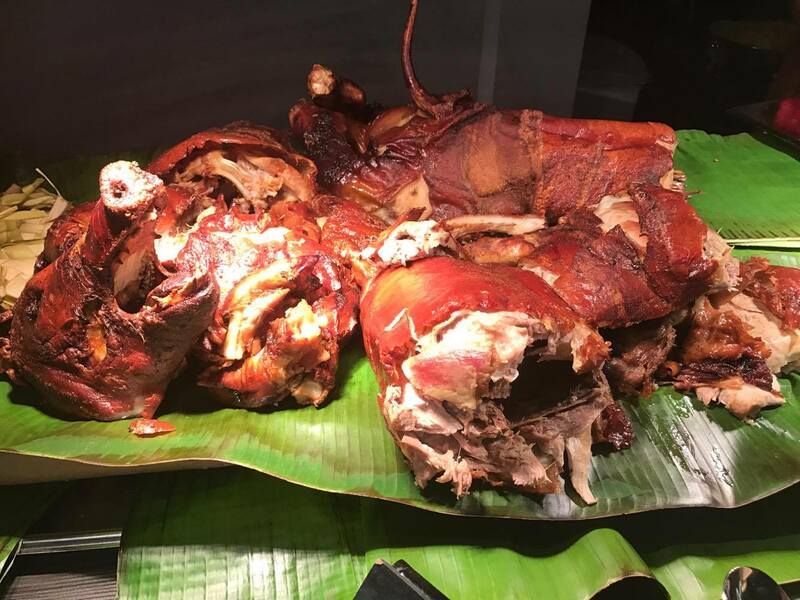 The lechon is the most invited party guest in the Philippines. The entire pig is spit-roasted over coals, with the crisp, golden-brown skin served with liver sauce. 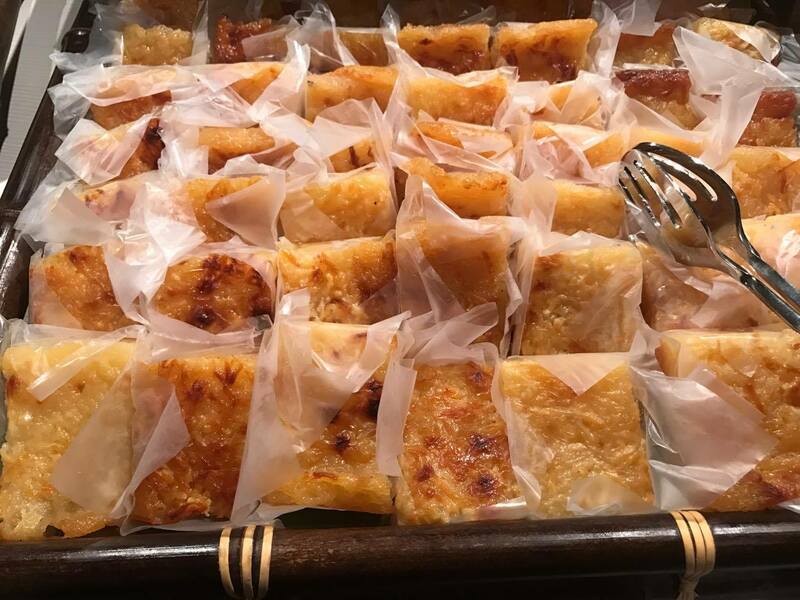 No trip t the Philippines is compelte without a plan to eat flan. It’s pretty much flan an egg based custard dish with a delicious caramel syrup sauce hidden away. Every hotel I went to offered flan. Made from fresh carabao milk and sugar, this sweet confection is stirred until thick and melts in the mouth. Served in finger thick sticks you’ll find it double wrapped in paper with street vendors. In a country where almost everything is marinated, skewered and grilled in the street corners, everyone has their favorite barbecue meat. Pork is the most popular. Expect rice with every meal. Enjoy the carbs. 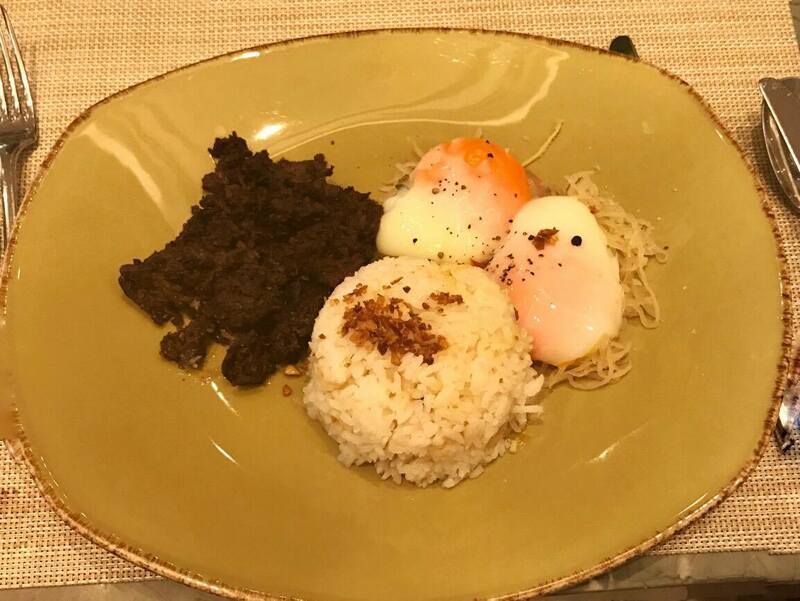 Not to be confused with Spanish style tapas, the tapa dish is strips of beef marinated served with eggs and garlic rice. It’s the perfect start to breakfast. With over 7,000 islands it’s easy to get your sea food fresh off the boat. It’s hard to not have seafood at least once a day. Because we can’t forget that the Filipino’s love a good drink to go with all that great good. Even as a non-beer drinker I found the local San Miguel beer to be a great drink to go with all the BBQ meats at the Mercato in Manilla. If you are a real beer lover than you can’t pass by the Palaweno Brewery. 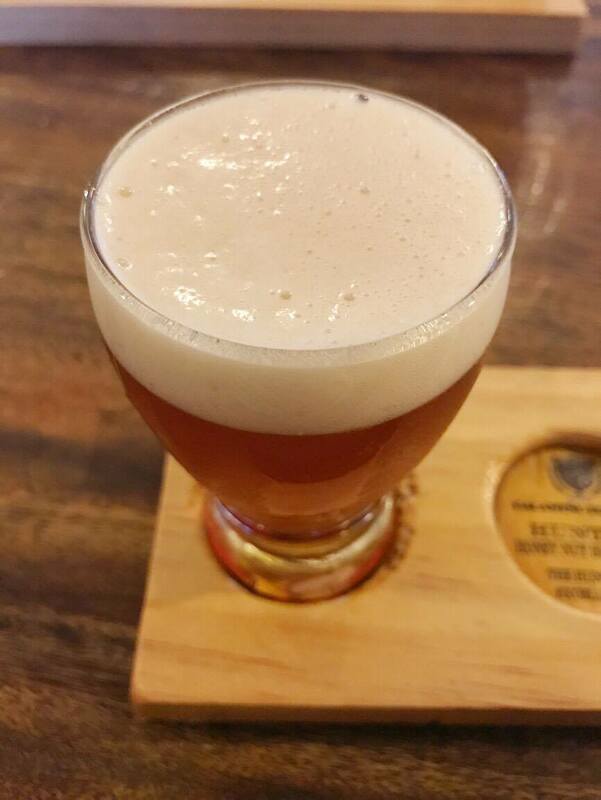 A micro brewery from the island of Palawan, which also boasts being the only brewery in the Philippines with female brewers. If you want to taste a beer from Palaweno then keep an eye out for Ahaya beers. Not into beer? Welcome to my party. 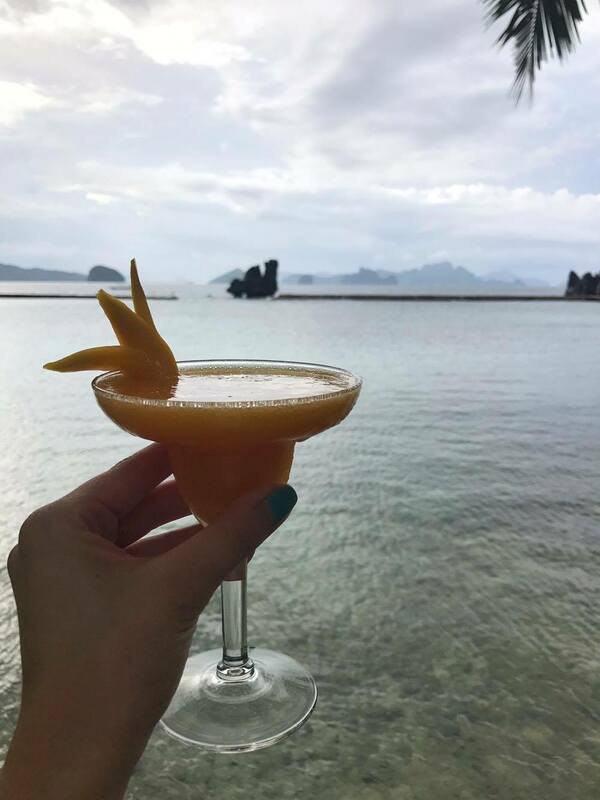 Being a tropical kinda place the Philippines makes some amazing cocktails. For that next level luxury pop into the Long Bar at the Raffles Makati and have a Singapore sling! 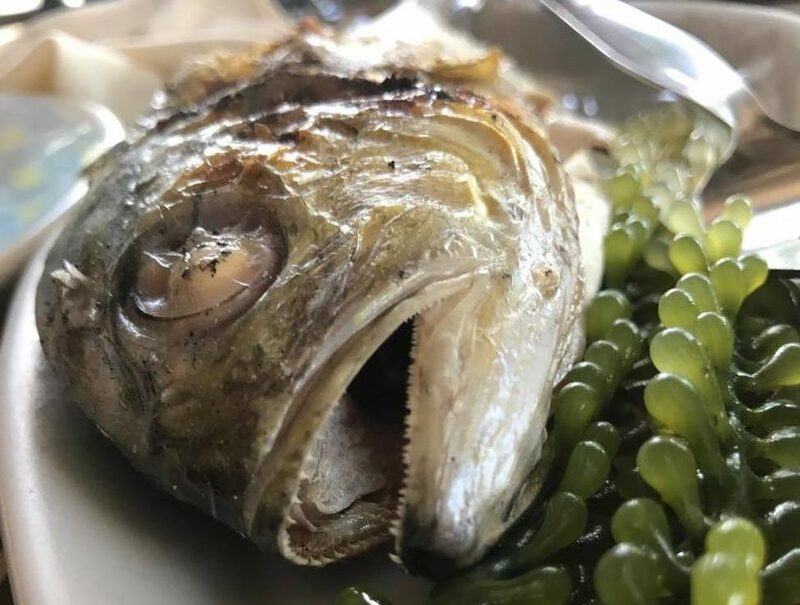 Have you eaten yourself silly in the Philippines? Found a dish you absolutely loved? Let us know in the comments below. I really don’t know where this boring reputation comes from. 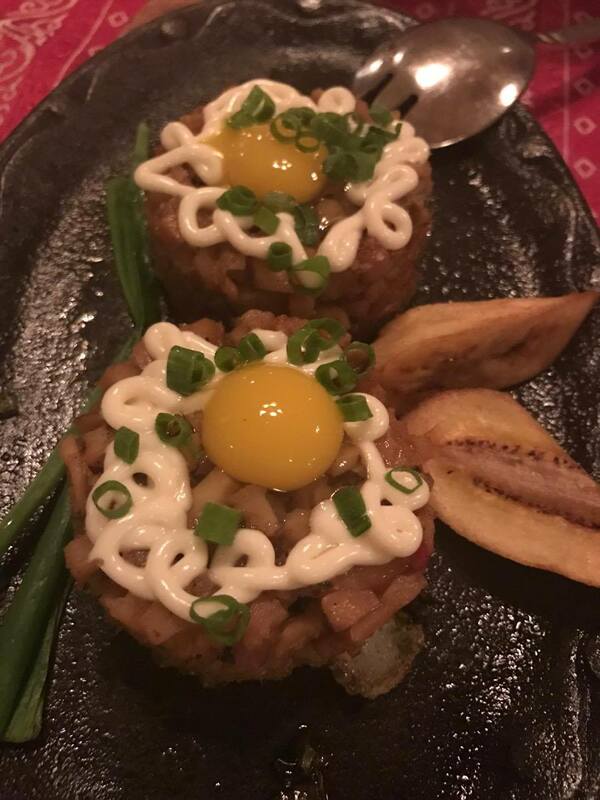 Filipino food is amazing, unique and deliciously mental! Where else can you get cheese with ice cream!?! I LOVE Filipino food! Everything you listed looks so delicious! Oh wow, these look amazing! I love the sound of halo-halo, I’ll definitely try that if or when I’m in the Philippines 🙂 Brazo de mercedes looks really similar to a cake we have in Hungary called piskótatekercs – my mum used to make these all the time when I was younger, they’re so nice! Such an incredibly cool post! Almost all of these foods look interesting and delicious – except the balut. I’ve seen people attempt to eat this on crazy shows like Survivor. No thanks! I’ll pass on that one! You must have had an awesome time being around so many dishes that you never came across before. I’d love to try the chilli ice cream, when the cooling ice mixed with the chilli running down that craving tooth, you can expect everything. Hey, Jeanette! 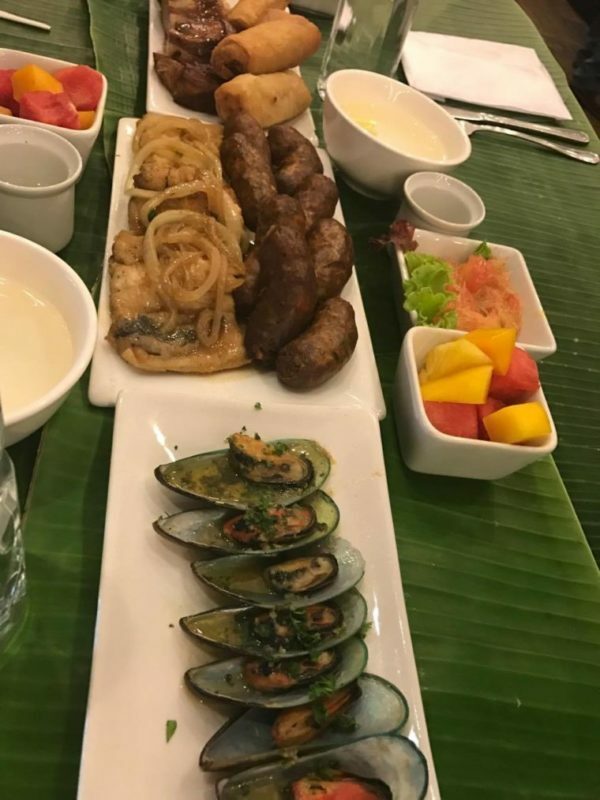 I am a Filipino and I love all the Filipino food that you have featured here. My favorite one is the seafood dish and second would be the “halo-halo”. This article is making me hungry right now. I will eat dinner soon! Haha! I love how you advocated for Filipino cuisine. It truly is one of the best in the world. It’s just that not too many people have tried it, especially for those who haven’t been to the Philippines yet! Oh dear, Balut…Don’t think I could even think of eating that, ducks are my favourte animal 🙁 The Bicol express on the other hand sounds delicious, I love coconut and spicy food, the hotter the better! 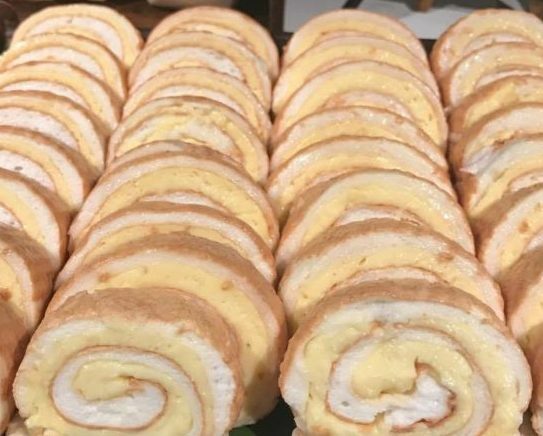 oooo and the Brazo de mercedes looks delicious, I would seriously pack on some pounds over indulging on that. I’ve heard that there’s a lot of fast food in the Philippines so it’s nice to know that local foods do exist and are delicious. I’m a sucker for anything with coconut – yummy! Oh who told you that? LIES. The Filipinos love their food. There is a lot of street food available. As well as some main fast food outlets that are really popular. It was a really easy country to get great food in. Thanks so much for this article! I’m a super picky eater and hate ordering off of a menu when I have no idea what any of the food is. I’ll definitely be saving this for if I’m even lucky enough to make it to the Philippines! We used to visit the Philipines a lot when I was young. This is making me want to go back and experience it as an adult. Another one for the travel bucket list!! Go now while it’s still so peaceful and happy!! Wow! 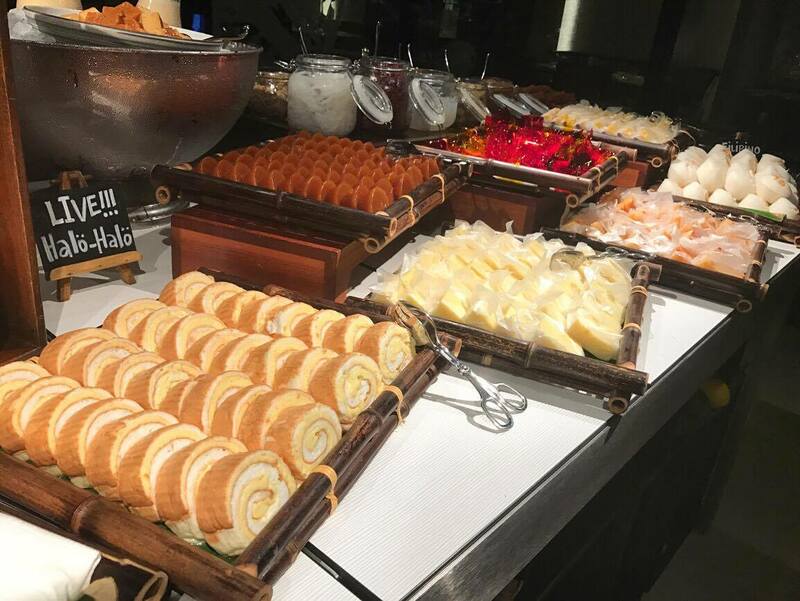 Interesting foods – some look similar to Thai foods but I always love checking out another traditional range of desserts. I like the sound of ‘Halo Halo’ and the egg custard and caramel thing. It’s made me think more about travelling to the Phillipines for the food! Just a little FYI- this article was written in partnership with the Tourism Promotions Board Philippines and TBEX. As part of my attendance at TBEX Asia 2016 I participated in a FAM trip to Palawan. Any and all views and opinions expressed are entirely my own based on personal experiences when travelling and are honest and factual without any bias. A huge thank you to the following hotels for hosting and feeding me.